"I'm only human. I bleed when I fall down. Those lyrics to pop artist Christina Perri's song "Human" resounded as a small group of stroke survivors and their caregiver spouses performed a dance routine for an audience of nearly 400 people gathered at an Arizona resort -- many consumed with emotion. 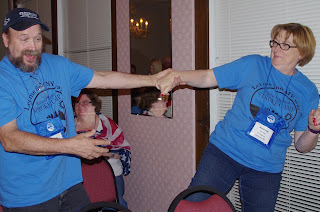 Some had chairs beside them in case they needed to grab hold for support, and one had a cane. Each danced their personal best. The hushed crowd watched as the number concluded with the dancers gathering around a stroke survivor seated in a wheelchair. He slowly rose to his feet and danced a few steps with his wife. 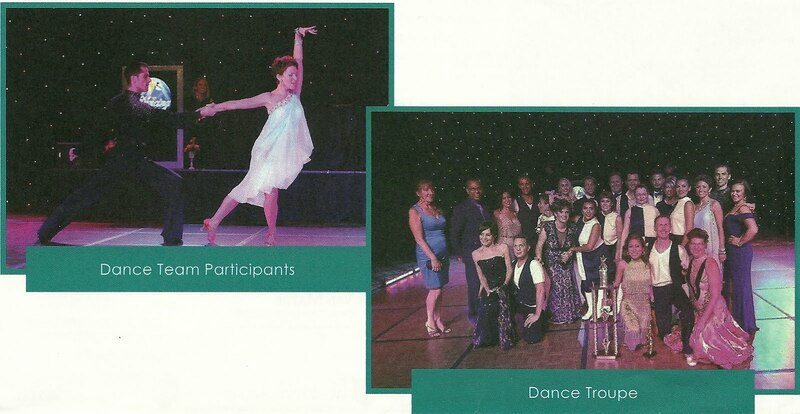 The occasion was a black-tie fundraiser -- Dancing for Stroke, held in Chandler, Arizona in October. It came together in a few short months and raised $33,000 to add a second in the community, while also doing much more. "We raised a lot of money, but we also helped get our story out," said Larry Bobko, who suffered a stroke at the age of 59, just weeks after retiring. "This event played a role in helping people to see our abilities," Larry stressed. "We're always looking for our new normal. Well, we don't have to be sedentary. What you have to do is find your new normal and try and make that better." The dinner dancing event had as its central element doctors and nurses competing as dancing couples, mirroring the "Dancing with the Stars" television show. 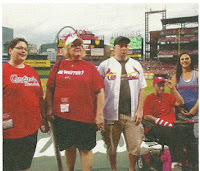 It featured big screen video footage from past stroke camps that helped paint a portrait of the benefits. Dignity Health Foundation - East Valley provided roughly $100,000 to cover upfront costs. 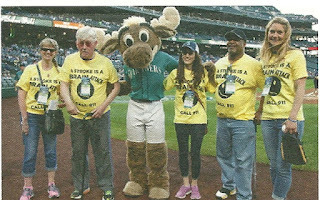 A brief appeal for funding during the event, which was attended by stroke survivors, their spouses, health care providers and other community residents who had never been touched by stroke, quickly netted the $33,000.The ticketed event also attracted other sponsors. 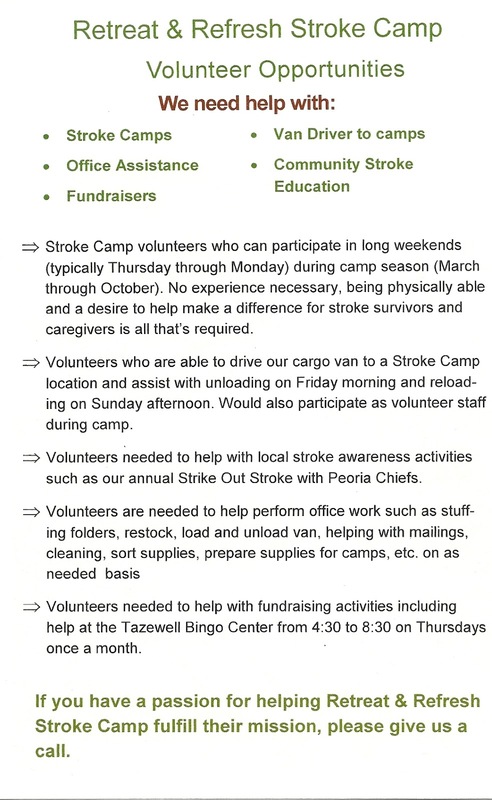 The fundraiser, which can serve as a guide for other stroke camp communities, grew out of the overwhelming response to Dignity Health's­ sponsored stroke camp. So explained behavioral health Dr. Patrick Hernandez. He is care coordination manager for Dignity Health, which operates hospitals and other health care facilities in the region. "By the time we held our second camp there were logistic issues; some people couldn't go," said Patrick, who also runs stroke support groups and is a volunteer. "It was the same at the third and fourth camps; people couldn't get into camp. We felt great that there was such a demand. We knew the camps were changing the lives of people, but we were saddened by the fact that the reality was we didn't have enough money for a second camp." 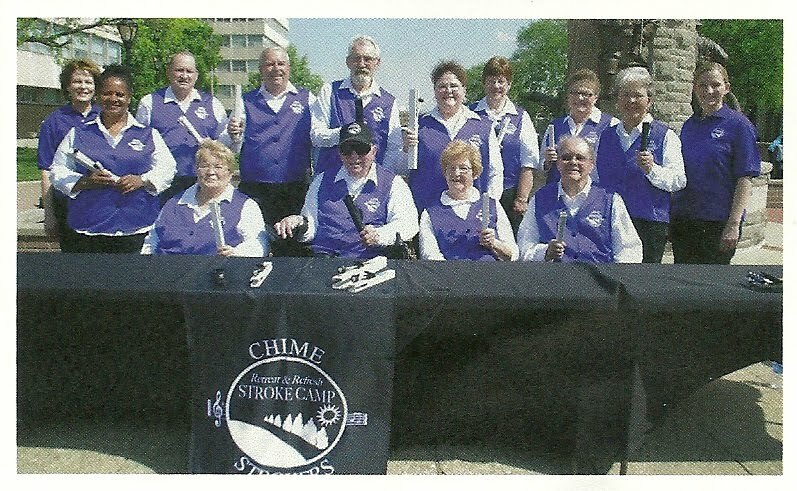 For Patrick, raising additional outside funds to support another stroke camp and other support group programs was an imperative, said Terri Lamb, a stroke camp volunteer and a volunteer in Dignity Health's stroke support groups. 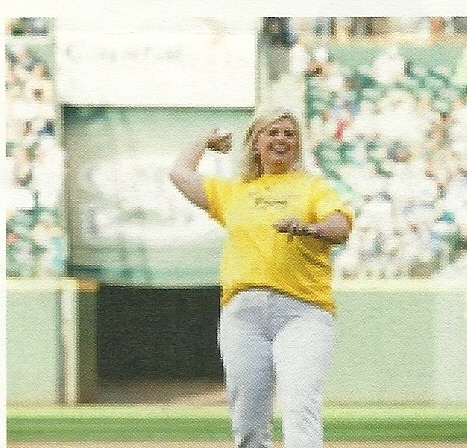 She played a major role in the planning and execution of the event. 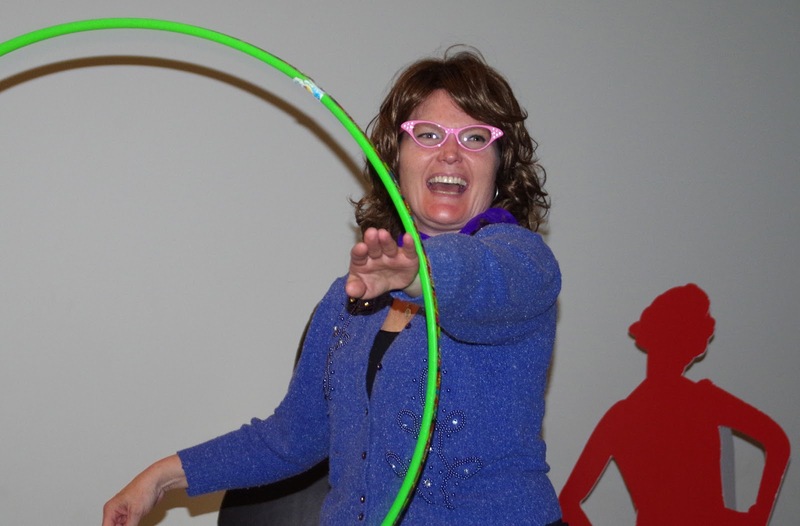 Shawn Nerdahl, a ballroom dance instructor, who Terri had earlier brought on as a volunteer, came up with the idea to do the Dancing for Stroke fundraiser and also played a key role. 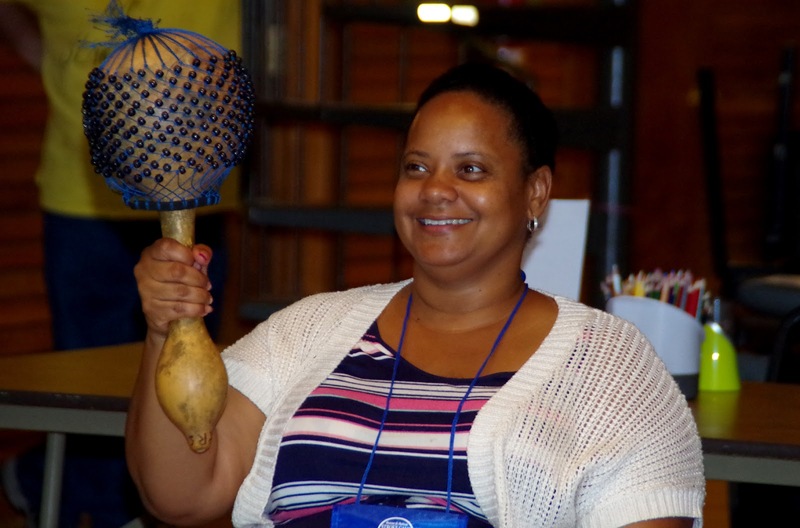 Earlier in the year, Shawn, the founder of Arizona Ballroom Champions, had begun providing a free ballroom dance class to caregivers and stroke survivors with a range of ability levels. 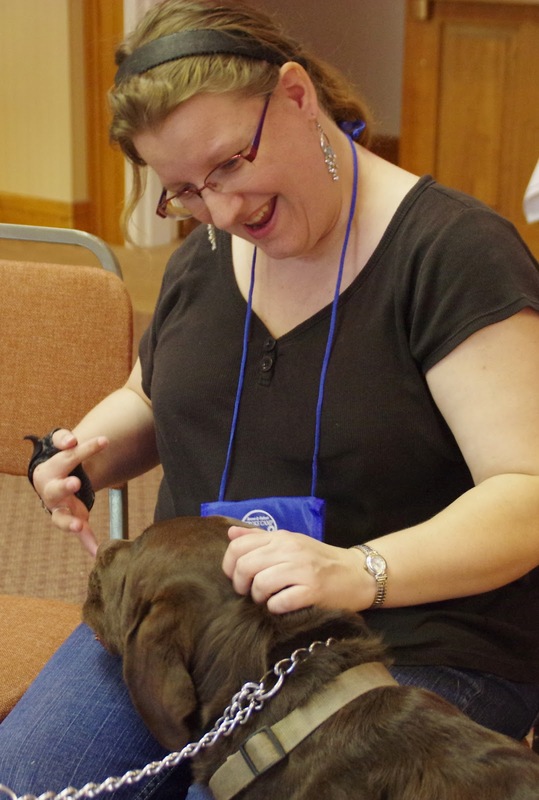 He recognized the class offered therapeutic value for survivors and their caregivers. 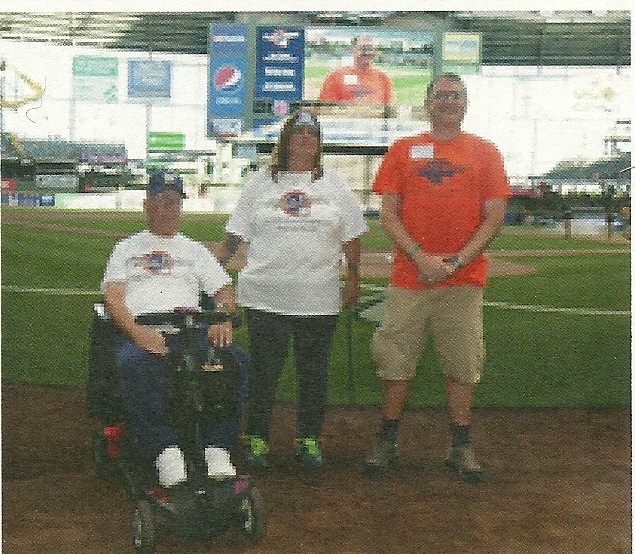 Patrick encouraged Terri and Shawn to seek out financial support from the foundation to cover the event's costs and helped in making the appeal. 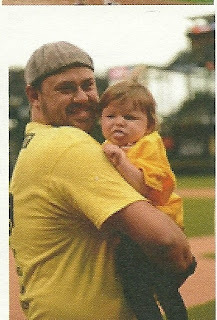 The foundation saw the event "as something that not only could raise money for a stroke camp ... it actually has real benefits to people to do dance," said Rex Albright, development officer at the foundation. "It was kind of an easy sell." The foundation has made a five-year commitment to Dancing for Stroke. "It was a night of pride, a night of joy," Teri Bobko, Larry's wife and caregiver reflected. 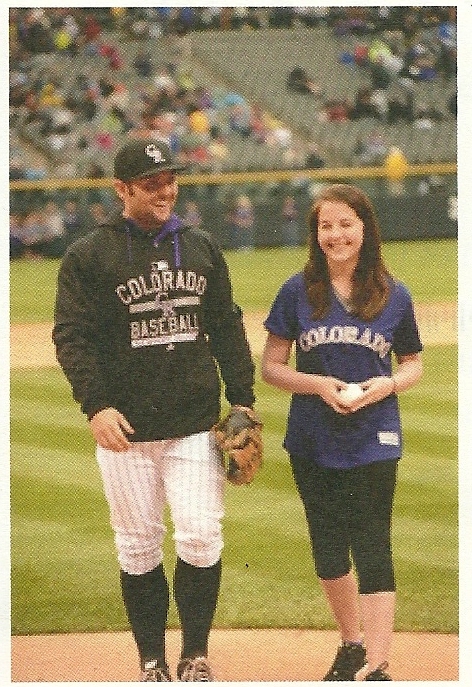 The event helped raise awareness about stroke, said Patrick. "It was a big advocacy flag to say to survivors and caregivers, 'We care about you. You mean something to us.' We want these camps to continue because we believe there is so much power in recovery. There is so much life after stroke ." Similar events can be replicated in other communities, said those who participated. "There's nothing special about us; what we did others can do," said Larry. Teri Bobko agreed, noting there are a variety of fundraisers that communities can explore. "We all have talents," she said. "We just need to be brave enough to share them." 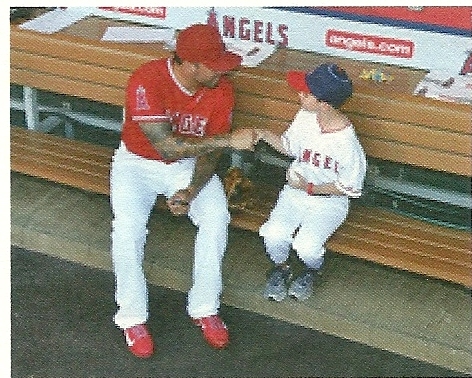 It's important to start with a good base of supporters, advised Patrick. "Make an evaluation of the resources you have inyour community, and figure out if you have the need, are you meeting the needs of patients, stroke survivors and their families," he said. "It's about the numbers and the need." And it's important to partner with community agencies, he added. Larry Schaer, associate director of Retreat & Refresh Stroke Camp, who attended the event, said the key was stakeholders had a shared mission. "The survivors, caregivers, the volunteers, the foundation, the hospitals were all on the same page, each working together to provide support for survivors and caregivers and education in their communities," he stressed. "They put all the pieces together, and this is the result." Who and what is RRSC? 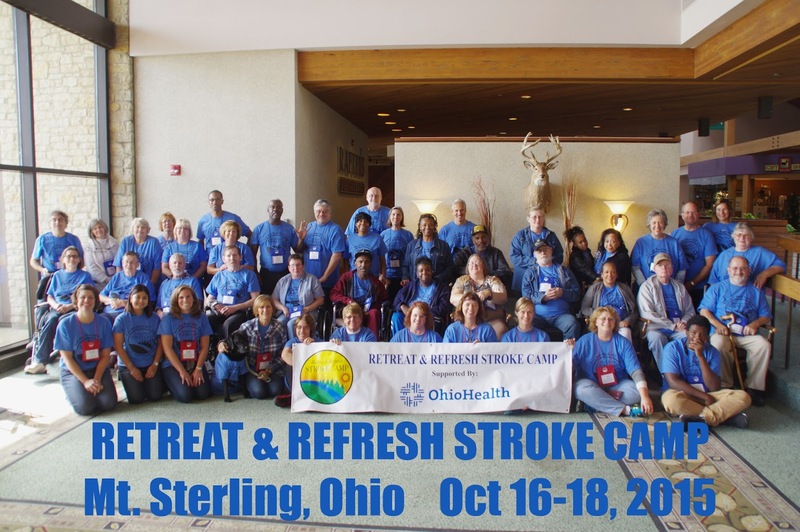 The following news article about Retreat & Refresh Stroke Camp was written March 10th, 2015 by Linda Zears of Courier Newspapers serving Central Illinois for decades with three publications - the Washington Courier, Morton Courier and Woodford Courier. They take great pride in supporting the communities served by their publications, meeting the informational needs of their readers and promoting their local businesses to help them establish an ever more profitable bottom line. The weekend long experience is meant to refresh survivors, caregivers, and family members from the many challenges they face daily related to stroke, and to provide socialization, relaxation, education and support in a fun, safe, and accepting environment. 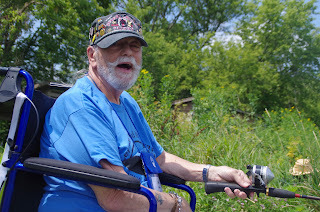 Resources participants have access to include speech and language resources, handicapped recreational equipment, physical therapy and nutrition tips, and aid in dealing with depression and isolation. 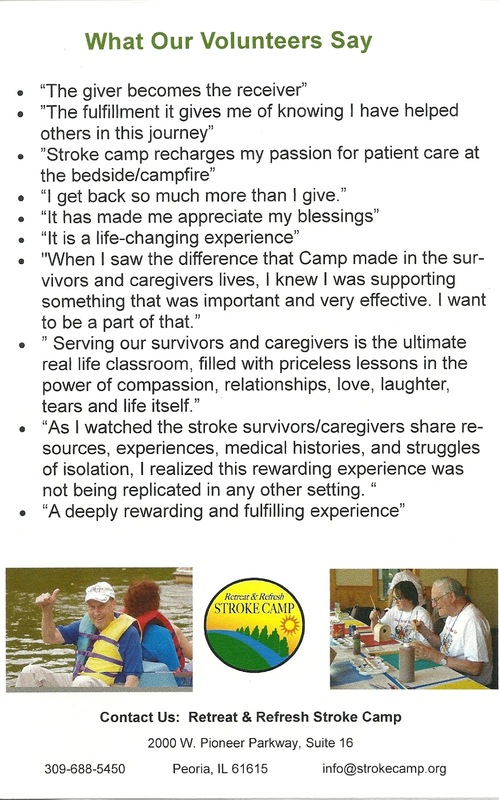 The camp, an idea wrought from Marylee’s and her husband, John’s, own personal experiences as caregiver and stroke survivor, respectively, began after researching and trying to find ways to connect with others and to “have fun again” after the unrelenting “seriousness” of John’s massive stroke and three-year recovery process. 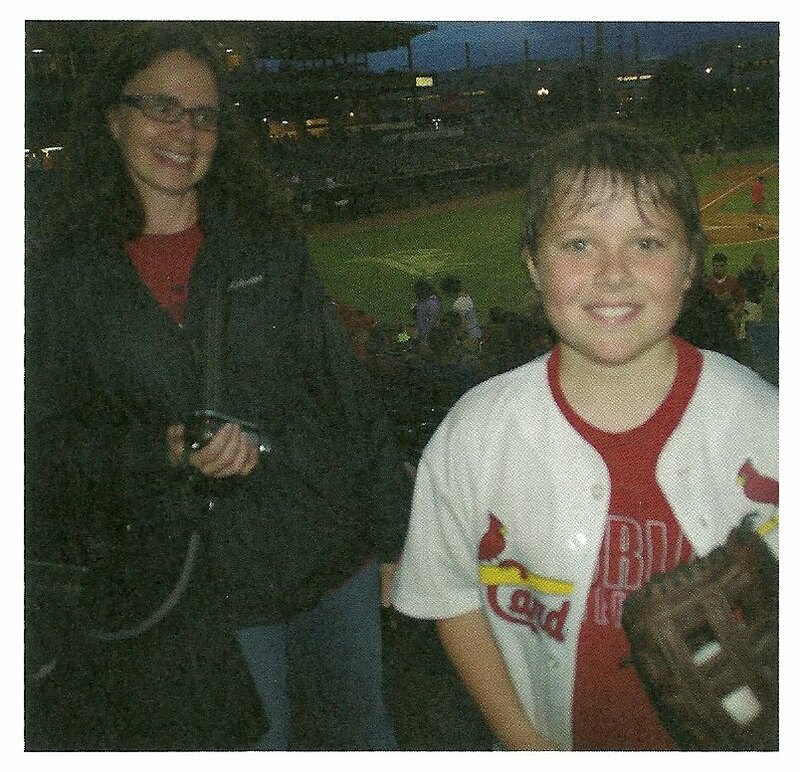 Marylee, who had previously been involved with her sister’s successful efforts in establishing a camp program for children with Cystic Fibrosis, had experienced the process of building such an opportunity and the benefits of participation in that type of activity. 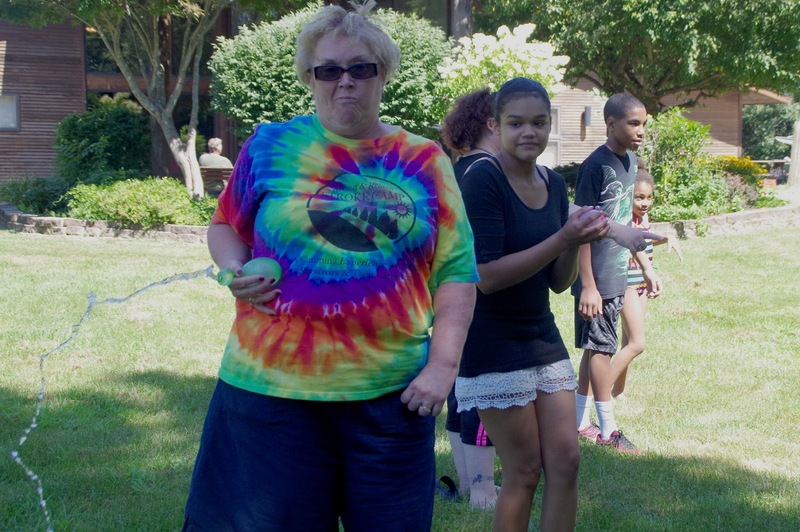 She was feeling as if she “couldn’t make it by herself” and had seen what support and connection with others experiencing the same challenges could mean. 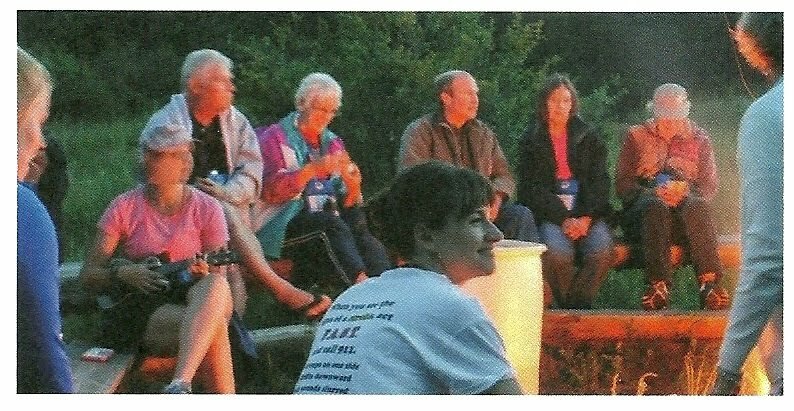 In 2004, she and her sister put together one camp for the first year. 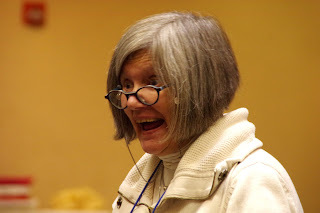 Marylee submitted a story to a national magazine, “Stroke Connection,” which was published and sparked interest in her concept. The second year, the plan was to do two camps. In the meantime, Marylee began discussing her new endeavor with a friend and colleague, Larry Schaer. As a business entrepreneur himself, he felt that she “was on to something.” Using his expertise and a certain synergy that developed between their joint skills and experiences, he came up with a business plan, and they began “taking the camps to the people.” When people attended and started sharing with others how meaningful their experiences at Retreat and Refresh Stroke Camp were, there was an exciting response. In 2007, RRSC became a nonprofit business, and since then the number of camps per year has gone from one, to four, to six, to 25 this year. The camps have taken place in 15 states. A typical camp begins on Friday afternoon and lasts through lunch on Sunday. Usually, the number of participants number around 20. The activities are planned so that participants can have the most exposure to nature, the sun, the sky, the wind in their faces, and a watchful eye on the “fatigue factor” for participants and volunteers. Educational opportunities abound with keynote speakers, such as pharmacists and neurologists, and DVD and video sessions. 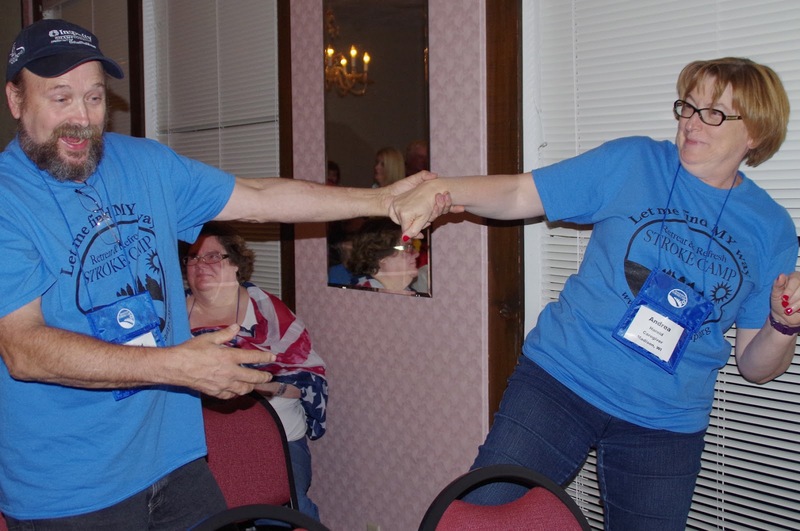 Breakout sessions provide support and other educational opportunities. 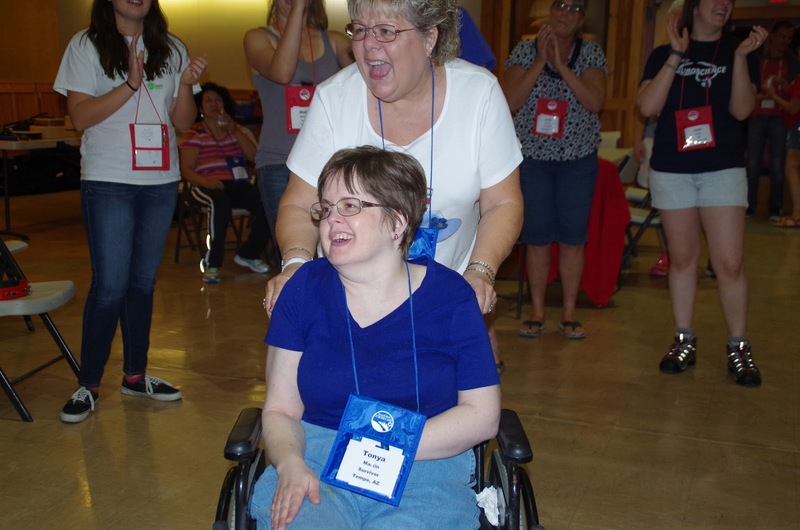 Survivors, caregivers and families have a chance to do karaoke, play drums, participate in games, and sing and dance in a safe place where everyone understands. Pampering and relaxation are included! 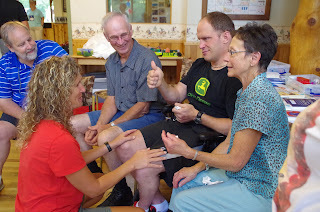 On Saturday morning , a massage therapist soothes sore, stressed necks and shoulders, while achy hands get a paraffin treatment to ease the pain, and chair exercises in Tai Chi and yoga relax the mind, body, and soul of participants. Healthy meals are planned and served, and survivors are assisted by volunteers, so that both they and those accompanying them can relax during mealtime. Golf-cart rides around the grounds, along with campfires and s’mores in the evenings round out full days! 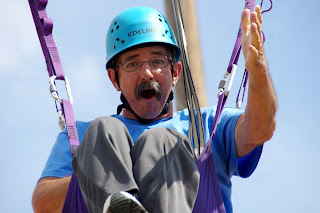 One special, annual camp is held by RRSC in Fulton County at Living Springs. 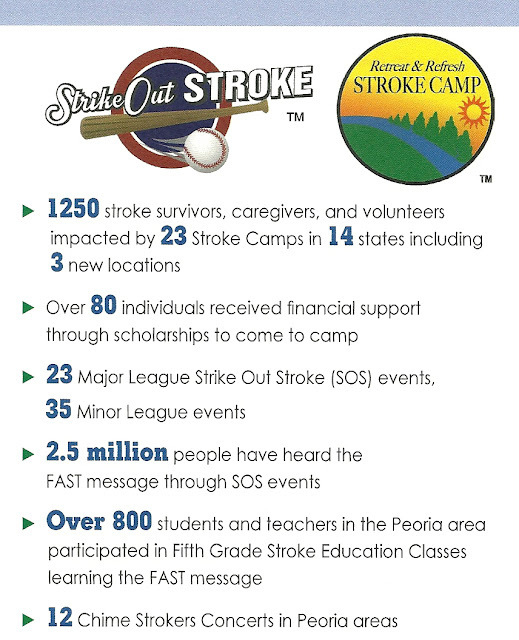 This camp is designed to meet the needs of younger stroke survivors who have children, and kids who are learning to cope with the challenges of stroke. 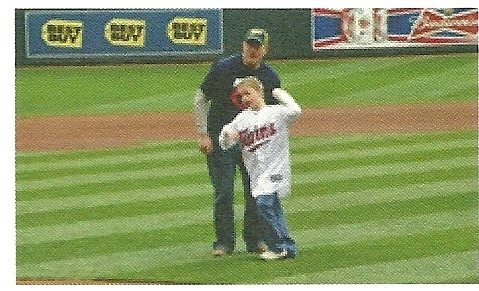 It is one day longer and gives kids an opportunity to meet and interact with other kids facing similar experiences. The practicality of “take aways” for participants is information not found in the “doctor’s office,” but from fellow participants learning to cope in their own set of circumstances. 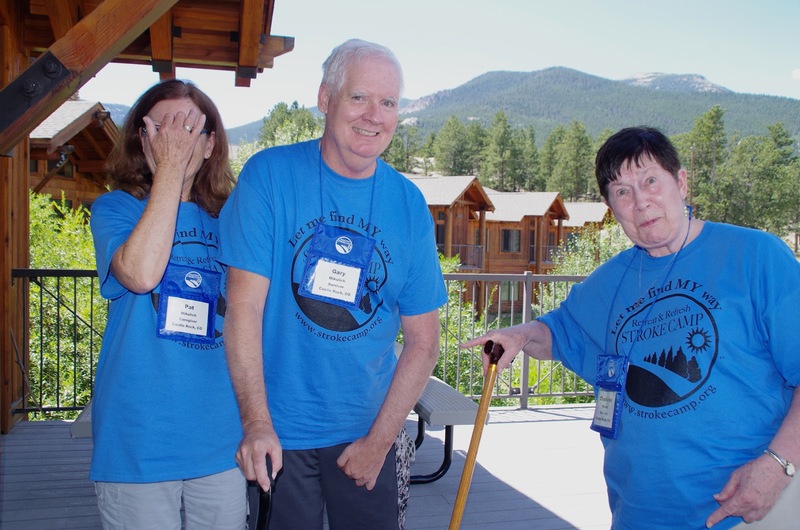 One stroke survivor learned that she was not “lazy,” as someone had suggested, when she needed to take a nap midday. Napping can be a necessity, as the functioning brain labors to compensate for other parts that have been affected, in dealing with the tasks at hand, and needs time to rest and recharge. The survivor could now engage in appropriate self care without guilt. After 12 years of attempting a multitude of ideas to lessen a survivor’s anxiety over the daily schedule, it was a suggestion from a fellow caregiver, who had been successful in finding a solution, that finally gave a participant the tool that was needed to relieve both survivor’s and caregiver’s anxiety. Just one example of “science” being discovered in the experience, rather than in the doctor’s office, is the “Sierra Mist/quinine connection. When "hemiplegia,” or paralysis occurs on one side of the face of a stroke survivor, there may be a loss of the sensation of saliva in the mouth leading to it leaking out undetected from the affected side of the mouth. It was discovered that if the survivor drank some Sierra Mist soda, it minimized the “drooling.” Further investigation revealed that the unique ingredient of that soda, rather than others, was “quinine,” which seems to affect that process in a positive way. 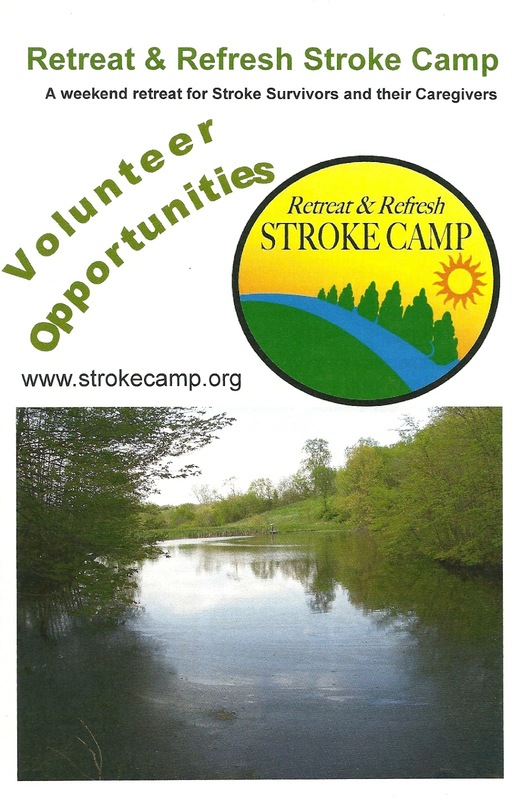 Retreat and Refresh Stroke Camps are possible largely due to the volunteers and sponsors, says Nunley. 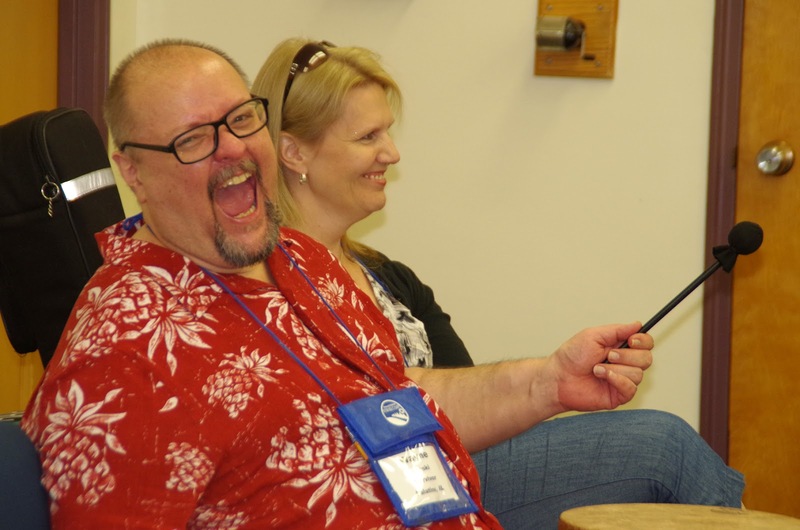 The staff of RRSC is small: Marylee Nunley, Larry Schaer, and office manager and music therapist, Lauren Kramer. Volunteers provide invaluable and priceless support for survivors as they navigate through the activities of the camp, and during mealtimes. Assistance to survivors and freedom to the caregivers and family to participate together and separately with survivors is invaluable. Fifth graders in our community hear stories from survivors, caregivers and medical personnel, learn the signs of strokes, and through fun and interactive activities, learn the challenges of being a stroke survivor. 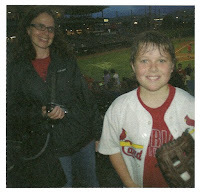 A poster contest is held and the grand prize winner earns a ride on the Life Flight Helicopter, which lands in the middle of Dozer Field where they throw out the first pitch of the game, one dedicated to Stroke Awareness. All fifth grade posters are on display at the game. You just might see the Mega Brain and Stroke Learning Center there and at other places around town. Survivors, caregivers and families feel a real need to give back to their community. One of the activities of the camp has grown into another community outreach is the “Chime Strokers,” a performing tone chime ensemble made up of survivors and caregivers, and directed by music therapists.” The ensemble is available for “gigs” and use their performances to bring stroke and survivor awareness to the community. If any of our needs interest you now, please feel free to contact us using the phone number or addresses at the bottom of this post for further information or to answer any questions you might have . Our society needs to take the word “victim” out of its vocabulary when it comes to stroke. 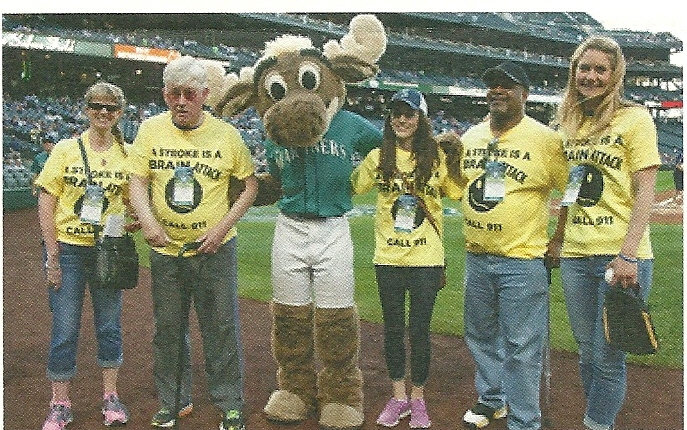 If you've had a stroke, you are a survivor, NOT a victim. When you think of yourself as a victim, that hurts your recovery. It distracts you from focusing on the present and the future, where all your energy needs to directed. I admit that I blow a gasket whenever I see "victim" in a news headline about stroke. I cringe when I hear medical professionals refer to survivors as victims, and when I can gently correct them, I do so with a smile. When I hear a caregiver refer to their loved one as a victim, I follow up with how "your SURVIVOR …" And when I hear a survivor refer to themselves as a victim, I boldly say, "You are a SURVIVOR!" 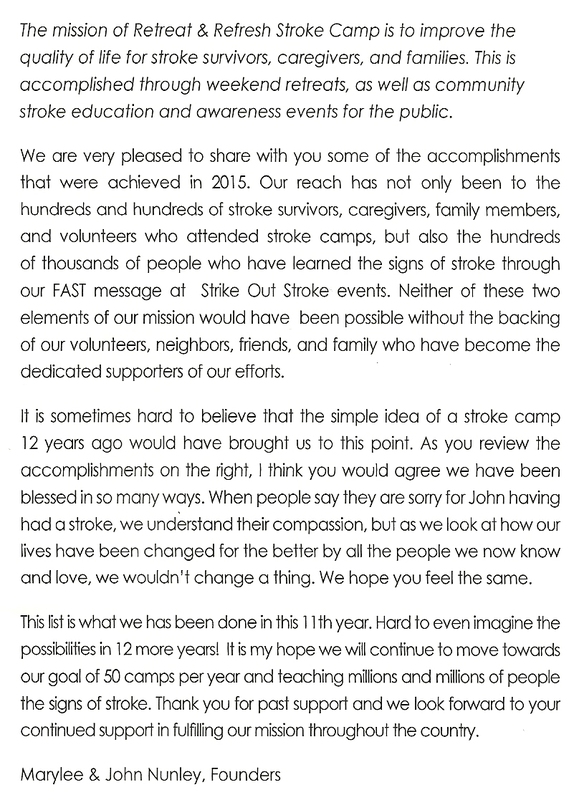 That statement, "We're survivors, NOT victims," was expressed during one of the first survivor discussion groups I participated in at Retreat & Refresh Stroke Camp in 2008. And I've never forgotten it. 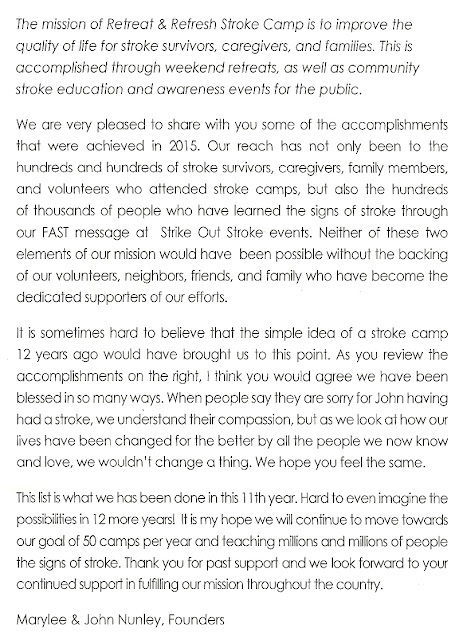 And I never, never forget it when I volunteer at a Stroke Camp because I get to witness survival at its finest. I am exposed to so much life and the real purpose of living that I have been forever transformed by it. 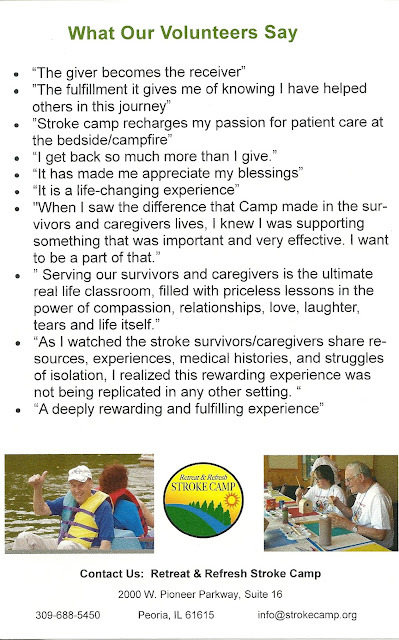 Stroke Camp leads the way when it comes to the true meaning of life with an abundance of love, connections, laughter, personal expression, creativity, the right kind of tears, and the hugs, oh yes, the hugs. 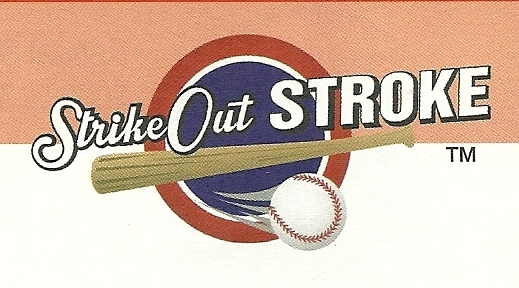 Teaching Stroke Awareness is Strike Out Stroke's Mission and celebrating stroke survivors tenacity and determination is a driving force in educating the public about this devastating disease. Putting a human face on stroke is a goal of SOS. Who are the people afflicted by Stroke and what does it take to recover? How does stroke impact a survivor and their family? What kind of outcomes do stroke survivors face for their lives? Strike Out Stroke Events select outstanding candidates to represent the gender, age and ethnic diversity of stroke survivors as well as the multiplicity of outcomes and to represent the drive that moves stroke victims from personal adversity to social advocacy. 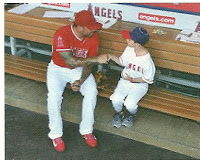 The life stories are inspirational, touching baseball fans to rally to advocate in their own lives and social circles. Survivors ....walk, limp and roll onto the field proud of their recovered abilities....they demonstrate that young people and children, black, brown, white and yellow have strokes ....and with hard work the human spirit will recover, revive, recreate a new spirit in a stroke survivor! They all deserve to be uplifted and CELEBRATED!